Resident magazine had the privilege of attending Marriott International hotels exclusive preview of Shark Week content. They had private screens surrounding the event. 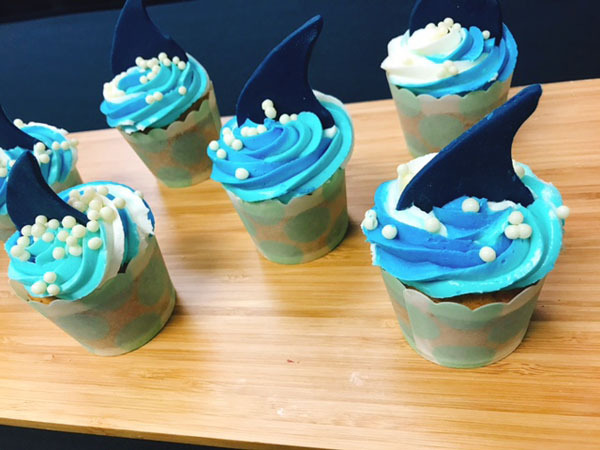 It was all sharked out with their signature shark themed snacks and cocktails. A group of select Marriott International hotels will have exclusive previews of Shark Week content for the first time. The hotels, based in New York City, Washington D.C. and Newport, Rhode Island, are inviting guests to swim on by to view pre-televised content and enjoy signature shark themed snacks and cocktails. 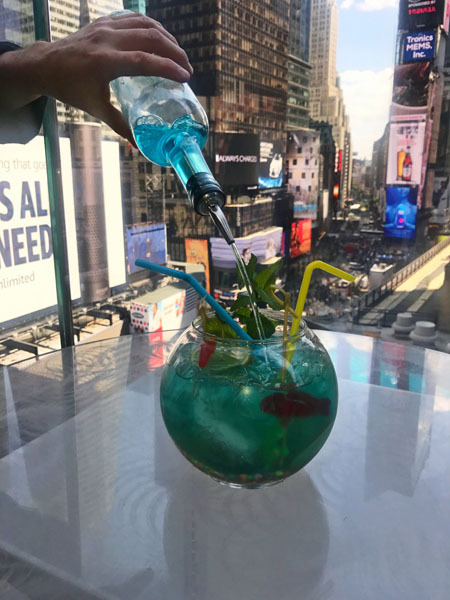 Broadway Lounge at the New York Marriott Marquis in Times Square will celebrate Shark Week for guests and New Yorkers to enjoy. During the week of July 23, starting at noon each day, Broadway Lounge will dive into Shark Week on its multiple screens. 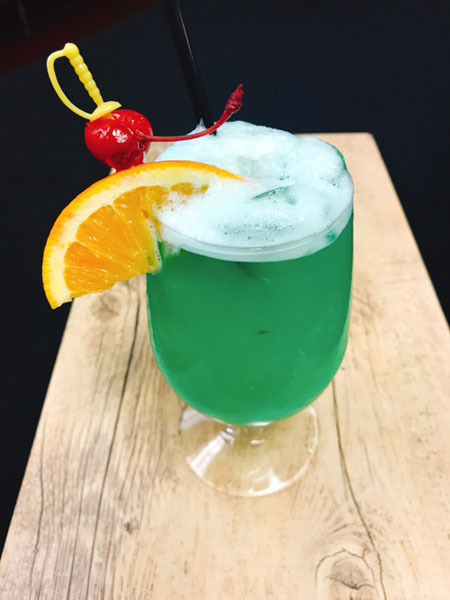 The bartenders will serve a specialty Shark Week cocktail, along with fun food items. 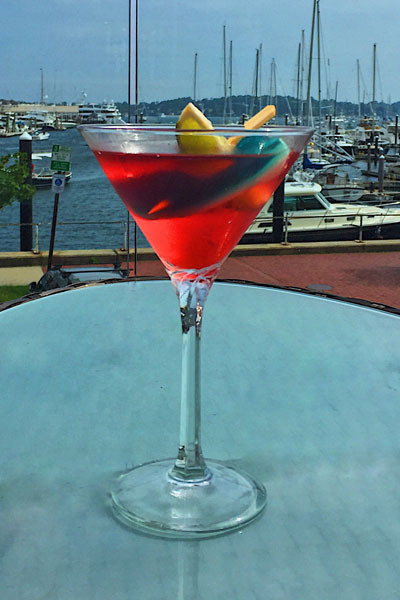 Located in the heart of historic Newport, RI, the Skiff Bar at the Newport Marriott overlooks the Newport Marina and stunning coastal views. 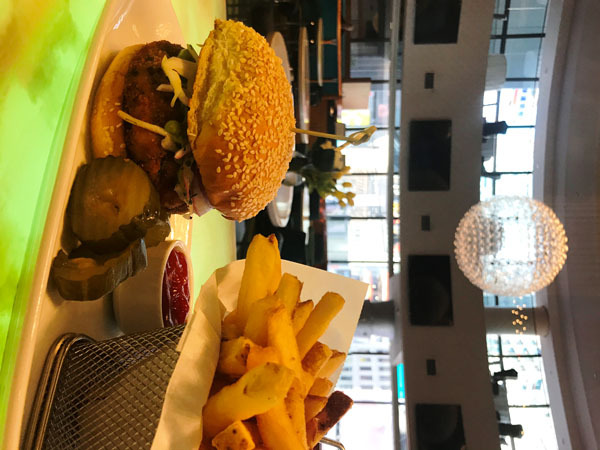 During the week of July 16, specials include Fish & Chip Bites and Blackened Fish Tacos. Bar goers can sip on a Blood in the Water cocktail or Landshark Lager while trying their hand at corn hole with a shark bean bag. From July 16-30, jump in with the sharks at Washington Marriott Wardman Park which will have the shark floats in pool. 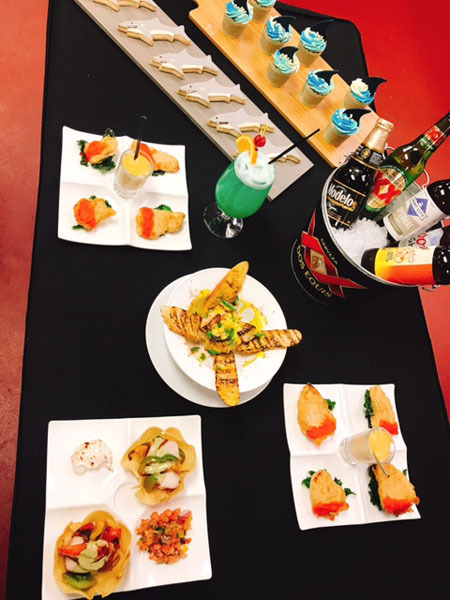 On dry land, enjoy specials like the Shark Bait Beer Bucket, Reef Shark Cocktail, and Cilantro Mango Lime Mako. At Visteur Bar and Lounge at Washington Marriott Georgetown, the Shark Bite Cocktail will have a mock shark fin inside the ice and the “How to Attract Sharks” menu will have dishes such as Avocado Shrimp and Scallop Ceviche served in Scallop Shells.